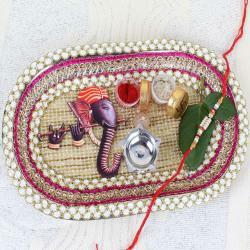 Product Consists: Soan Papadi (Weight: 200gms), Small Silver Plated Thali Includes Rudraksha Rakhi and Roli Chawal. 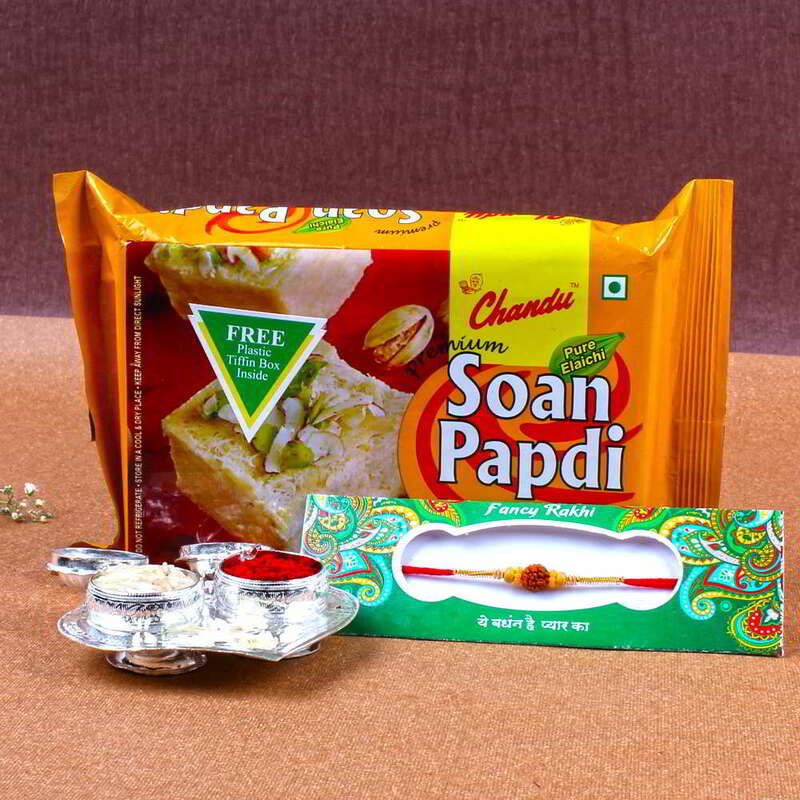 When it comes to sheer warmth and affection, nothing can quite outstrip this compelling combo specially designed for Raksha Bandhan. 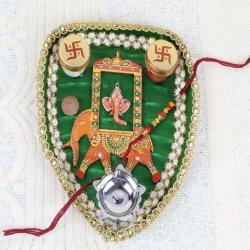 This combo consists of an amazing Rudraksha Rakhi, Roli Chawal and Laxmi Ganesha Coin also for extra tasty mouthwatering Soan Papadi sweets. 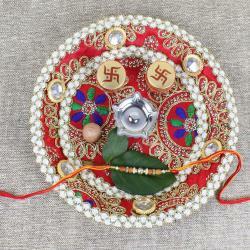 While the exquisitely designed Rakhi and Roli Chawal promise to add their own special dimension to the occasion, Rakhi promises to round off the occasion quite spectacularly indeed. This Raksha Bandhan, reach out to your brother and his better half with this fitting combo and watch them celebrate the occasion with great gusto. 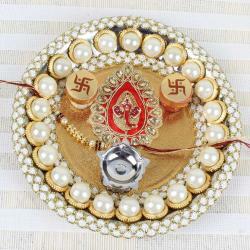 This beautiful Rakhi Combo includes: Soan Papadi (Weight : 200Gms) with Small Silver Plated Thali Includes Rudraksha Rakhi and Roli Chawal.